Our teachers and caregivers seek to make the most of every opportunity to show preschoolers the love of Christ and point them to the knowledge of our Lord. We consider it a privilege to partner with you in teaching your preschooler about Jesus. Together we can nurture their faith by laying spiritual foundations in a Gospel-centered and Bible saturated environment. 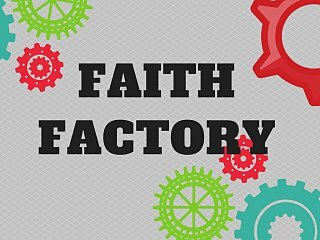 For more information or questions regarding Faith Factory please email Lindsay Loredo at: LLoredot@faithfbc.org or call 281-360-7576.